Hemingway was quick to see the merit in the work of James Joyce, not always a limpid writer. 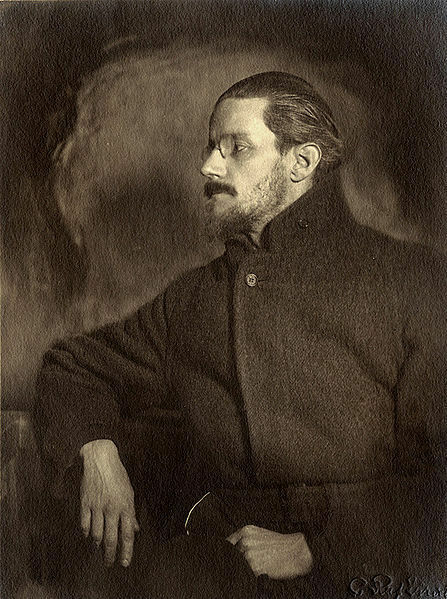 "Joyce has written a most goddam wonderful book (Ulysses). Meantime the report is that he and all his family are starving, but you can find the whole Celtic crew of them in Michaud," (then a moderately expensive Paris eating place). 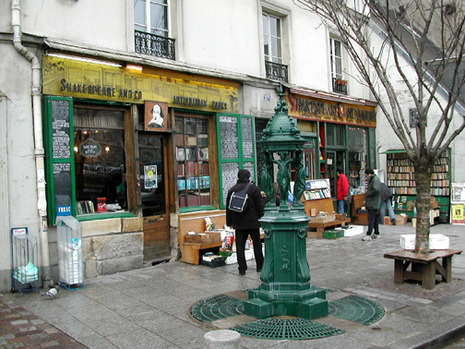 Nevertheless, on several occasions Hemingway contributed to the funds raised to aid Joyce, with whom he did a considerable amount of stout drinking in Paris. When Joyce's "Ulysses" was pirated in the United States Hemingway was one of the organizers of the protest which bore the names of many of the most distinguished figures in world literature. He impressed and became friends with many of the literary greats of the day, including James Joyce. "Once, in one of those casual conversations you have when you're drinking," recalls Hemingway,"Joyce said to me he was afraid his writing was too suburban and that maybe he should get around a bit and see the world. He was afraid of some things, lightning and things, but a wonderful man. He was under great discipline-- his wife, his work and his bad eyes. His wife was there and she said, yes, his work was too suburban--'Jim could do with a spot of that lion hunting.' We would go out to drink and Joyce would fall into a fight. He couldn't even see the man so he'd say, 'Deal with him, Hemingway! Deal with him!"